BLEND11 is undergoing scientific testing! 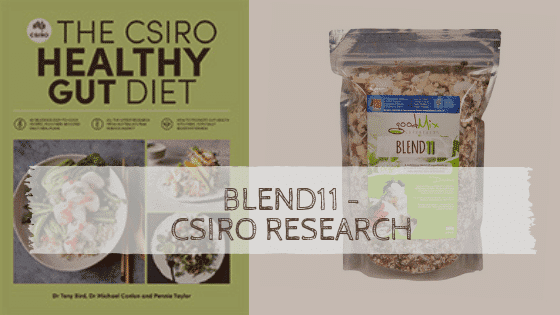 We have received so many great stories and such positive feedback from you, our customers highlighting the huge impact Blend11 has made to their gut health, we’ve decided to get scientists at CSIRO to do some research on the product. The project commencing this month (October 2018) will use a model of the human digestive system to see how Blend11 is fermented by the human microbiome. The findings will be compared with a commonly consumed fibre rich product, psyllium husk. As we continue to get customer feedback of enhanced gut health benefits when Blend11 has been soaked in water prior to consumption, the project will also study how the nutrients in Blend11 change when it is soaked for up to 3 days and what effect this has on nutrient levels and fermentation by human microbes. We will be looking to see whether Blend11 when soaked causes the microbes to produce more of the products (short chain fatty acids) that are linked with a healthier gut environment. Previous studies suggest that soaking of seeds and grains could increase the bioavailability of some nutrients. This study will assess whether the levels of a range of nutrients change following soaking. For instance, by closely measuring Fermentable Oligosaccharides, Disaccharides, Monosaccharides and Polyols (FODMAP), we will be able to accurately guide our customers with sensitivity to FODMAPs as to how these levels may change with soaking. Some of the key seed phytochemicals (antioxidants) will also measured to see whether levels also change with soaking. To conduct this project, we were successful in obtaining a CSIRO Kick-Start grant that provides Australian start-ups and small to medium enterprises with funding support, and access to CSIRO’s research expertise and facilities. CSIRO Kick-Start offers eligible businesses access to dollar-matched funding vouchers of between AUD$10,000-$50,000 and access to CSIRO expertise and facilities to undertake research into a new idea with commercial potential, develop a novel or improved product or process, or test a novel product or material developed by the business. We look forward to sharing with you the outcomes of this study, expected to be completed early in 2019. 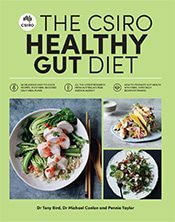 This entry was posted in Gut Health, Healthy diet and tagged blend11, bristol stool chart, CSIRO Healthy Gut Diet, gut health, Gut Health Research, microbes. Overweight and Unhappy to Bikini Model and Stoked!